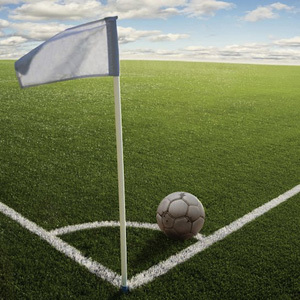 There are many soccer facts about this great game due to the long history of soccer. I decided to write an article on fun facts about soccer since this is the most watched and played sport around the world. Although soccer is not considered the number one sport in United States, Australia and few other countries, it is quickly gaining popularity among people, and especially kids. This sport is a lot of fun to play and it brings the competitive spirit out of every player. There are many interesting facts about soccer and I will list some of them here. FIFA World Cup is the biggest soccer tournament in the world. It is followed by billions of people around the globe on TV. World Cup presents an opportunity for players to showcase their skills as countries compete against each other to decide what country is the best. FIFA World Cup is played every 4 years in a different country. Every country has to go through qualification process to secure their place in the World Cup tournament. Interesting fact about World Cup is the amount of money that is spent on players who showcase their skills during the tournament. Every scout and manager in the world is there to watch players compete at the biggest stage of soccer. 2002 World Cup was held by two different countries for the first time in the history of world cup. This world cup was played in Seoul, South Korea and Tokyo, Japan. Oliver Kahn, goalkeeper for Germany, was the first goalkeeper ever to win the MVP Award in the World Cup. Soccer is actually called Football in most countries, other than United States and very few others. PELE is a name recognized all around the world and associated with the greatest soccer player that ever lived. Funny soccer fact is that Pele's real name is Edson Arantes do Nascimento, which is not nearly as famous and known like, PELE. Oldest organized tournament in the world is the English FA Cup. FA Cup was first held in 1871. All of the English Professional teams competed against each other for a chance to win the FA Cup. FA Cup stands for Football Association Challenge Cup. Fun fact about soccer juggling. Martinho Eduardo Orige, from Brazil, holds the record for juggling the soccer ball for 19 hours and 30 minutes without letting the ball drop to the ground. Here is one funny soccer fact that occurred during the 1950 World Cup. India wanted to compete in this tournament barefoot, and because of regulations, was denied to play barefoot. India withdrew from the World Cup because FIFA would not let them play barefoot. There you have several facts about soccer that only scratch the surface of how many different facts about soccer players, coaches, leagues and tournaments there really are.